Southern Elephant Seal – largest of all pinnepeds. The elephant seal gets its name from the long, curved nose the male acquires around the age of three. 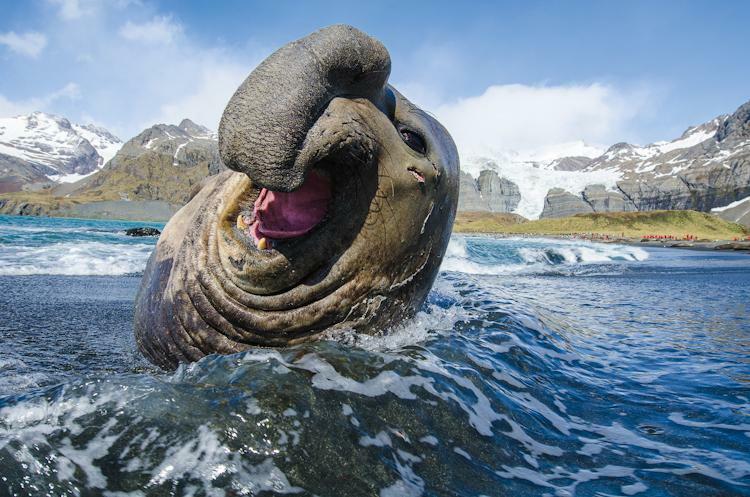 The snout plays a significant role in the elephant seal’s spectacular breeding ritual. By a process known as a catastrophic molt, elephant seals shed their coats every autumn, sloughing large pieces of hair and skin, and leaving the seal with a ragged and tattered appearance until it grows new, sleek fur!